Registration for the dinner on tuesday has now been closed. Please note, that you will have to register for each day separetely, and for day 2, you will have to register for both PD-meeting and CMA-workshop if you wish to attend both. We will try to host a dinner on the first day, but registration for this will be at a later time. Other practical information will be posted eventually. Also, we have now confirmed Elanco as Gold sponsor of the 2018 TriNation meeting, and Veso and Marine Harvest as Bronze sponsors! For the 2018 TriNation meeting, we invite scientists or industry representatives to submit presentations on current research updates on PD, CMS or HSMI. Focus areas for this years meeting will be control of PD: Challenges and costs of control programs, most suitable tests for screening and applications of vaccination. Presentations addressing any of these issues are therefore specifically encouraged, but all new and relevant research regarding the three diseases and their agents are welcome. 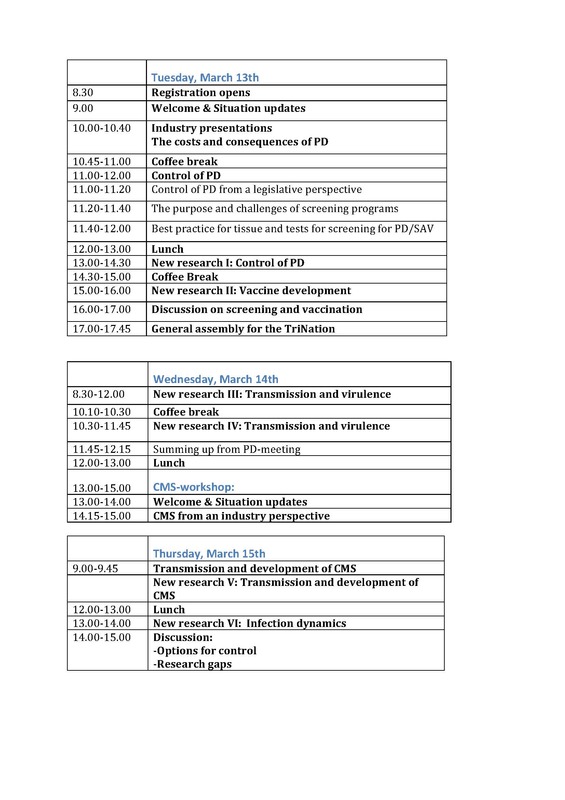 Please note, that this year there will be a specific workshop on CMS/PMCV, where presentations about implications of disease for the industry, research on virus and disease, comments and suggestions for future research will be very much welcomed. If you are interested in giving a presentation, please forward a title, name and affiliation of presenter and a short description of the topic (3-5 lines), including a brief summary of the practical implications of the findings. The presentation should be applicable and focused towards solutions for the industry. Please keep in mind that this is not a scientific conference only for researchers! Proposals should be sent to britt-bang.jensen @ vetinst.no (remove all spaces before mailing). 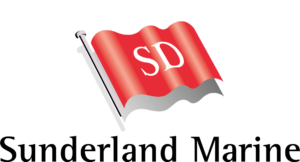 We will close for abstract submission February 1st, and let presenters know February 15th (at the latest) if they have been selected or not. In case more presentations are submitted than can be accommodated in the program, the steering committee will choose those that fit the program best between the submitted presentations for oral presentations, and the rest will be offered another possibility for presenting.